And we’re off! 🙂 For those of you who didn’t tune in last week, this is the first in a short series of 1920s cocktail recipes I’ll be posting over the next month or so. It’s a little different than my usual fare, but I hope you like them. A gorgeous Bacardi Cocktail. Photo taken from here. 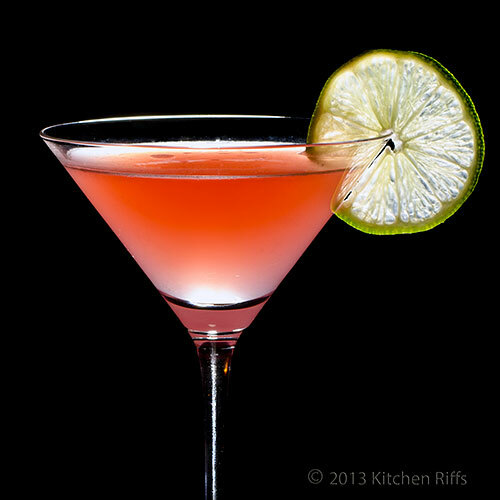 While popularly associated with the 1930s, this sweet and sour cocktail is actually much older. An English drink guide from the Embassy Hotel, Cocktails, How to Make Them, claims that this drink is “undoubtedly more popular than any other cocktail” in the United Sates–and that was in 1922. The exact origins of the drink are unclear, but considering it contains Bacardi, it may well come from Havana, Cuba, a popular tourist destination for Americans looking to drink during Prohibition. Below are two slightly different period recipes. Shake well and strain into a cocktail-glass. When no limes [are] handy, lemons are usually taken instead. * Please note: According to author of Cocktails, a “gill” is equal to 0.142 liters, with 4 gills equaling 1 pint; a cocktail glass itself contains “half a gill of liquid.” Basically, in European terms, a gill is a quarter of a pint, while in American terms it’s 4 oz for every gill. The Cocktail Book: A Sideboard Manual for Gentlemen, originally published in Boston in 1913 but reprinted throughout the 1920s, considers this one a “recent” favorite. Fill with ice, shake until very cold, and strain into a cocktail glass. Author’s Note: While this isn’t exactly period-related, I came across a fun factoid while researching this article: legally, thanks to a 1936 law, you can ONLY call a Bacardi Cocktail by that name IF it contains REAL Bacardi Rum. It turns out that Bacardi rum was so popular both during and after Prohibition—as was the Bacardi Cocktail—that people would come into a bar and ask for “Bacardi” when they really meant “rum.” The two terms became so synonymous in people’s minds at the time that “Bacardi,” as author Wayne Curtis points out in And a Bottle of Rum: A History of the New World in Ten Cocktails, “threatened to become a generic term—like Kleenex or FedEx—and bartenders increasingly felt free to substitute any rum on hand, even if a customer specifically ordered ‘Bacardi. '” It got so bad that the Bacardi family actually sued two fancy New York hotels for selling other rum under their name—and they won! The New York Supreme Court ultimately ruled that a Bacardi Cocktail MUST contain Bacardi Rum, and that was that. Also, if you feel the Bacardi Cocktail seems very similar to a Margarita…you’d be right! It helped pave the way to the Margaritas we know and love today. Viermiere, Robert. 1922. Cocktails, how to mix them. London, UK: The Mayflower Press. Grimes, William. 1993. Straight Up or On The Rocks: A Cultural History of American Drink. New York, NY: Simon & Schuster. Kavan, Dana. June 4, 2008. “Drink of the Week: The Cubanola.” Chicago Sun-Times. Accessed via Illinois News Sources. Curtis, Wayne. 2006. And a Bottle of Rum: A History of the New World in Ten Cocktails. New York, NY: Crown Publishing Group. This entry was posted in drink recipes and tagged 1920s cocktail recipes, Bacardi Cocktail 1920s recipe, Prohibition cocktail recipes, vintage cocktail recipes. Bookmark the permalink. I’m familiar with the Bacardi Cocktail (of course ;-)), but I’ve never heard of the Cubanola. Though I’m sure there are a lot of Prohibition cocktail I’ve never heard of, and no one have heard of since the days. Me either! I’d try one, if I could find someone who knew how to make it—but I got enough weird looks the last time I ordered a sidecar 😉 . And yeah, it’s probably a good thing that most of them were forgotten…but it’s interesting how many classic drinks came out of Prohibition as well, or were made more popular because of it.